Since the first edition of The Thirst proved so popular with you guys, it's back for a second edition (and probably here to stay). I got sent heaps of emails with articles, so apologies if I have included an article you sent me and I haven't credited it. There's plenty of variation in the articles posted this time. The articles range from quite in-depth pieces on the Australian Craft Beer scene, to an exploration of a rare Finnish style of beer, a look at North Korea's beer scene (yes, they have one!) and everything in between. The story of a man's journey through North Korea following their craft beer scene. I knew that North Korea made beer, Taedonggang beer has a reasonable reputation, but had no idea of the others mentioned. It's a fascinating insight into their culture and their love of beer. I found the Steam Beer craze in North Korea to be particularly interesting - but it makes sense given the lack of electricity and therefore refrigeration. It's rare to see craft beer crack the mainstream media in Australia; so this article from ABC News deserves mentioning. It talks about the decline in the overall consumption of beer in Australia, while we're experiencing a boom in the craft beer industry. It espoused the theory that Australian's are choosing to drink better, rather than more. Justin argues that sour beer styles are as diverse as any other beer styles and should be treated accordingly (ie. call a Gose a Gose, not a sour). I understand where the author is coming from - I'm just torn whether I agree or not... I think the word 'sour' has a place in the beer vernacular, it's a very easy to understand descriptor to use to the wider community. On the other hand, I really dislike talking to other beer people who instantly write off all 'sour beers' when they probably just don't like Flanders Red Ale's or Gose's. Read the article and let me know your thoughts. Speaking of the beer community, I thought this was a good read about my craft beer drinking forebears. I found the history interesting, it's not surprising that the Germans and Scandinavians were ahead of the trend here, and also found some books to track down; The Local by Maurice Gorham and Brew Brittania by the authors of this article. Finnish Sahti is one of these rare styles of beer that has always intrigued me. It's very rarely produced outside Finland, and what little is isn't very good. The article explores the style and also explains the reasons behind why it's not found elsewhere in the world. Check it out if you know, or don't know, what Sahti is - it's a good read, with some good photos thrown in for good measure. This was a well constructed piece about the Australian Craft Beer scene. I thought there were a number of sentient points, in particular the comparisons with America. I rarely get upset with things in the beer industry, but our tendency to dump on brands who "sell out" is frankly ridiculous. This piece handles that topics are others very nicely. It's probably the pick of the pieces in this post. The Craftwerk series from Munchies is a must watch for any beer lover! Thanks to Dylan for introducing me to this series; I've wasted many hours watching them since you showed me! I've picked the To Øl one to showcase; it's the newest one and not only introduces their new Brewpub, but also their freeze-dried beer concept. It's such a cool idea, hopefully it's something that's come to fruition down the track. James is the number one craft beer voice in Australia. Many people may not be aware that the man with the unassuming name is better known as The Crafty Pint. 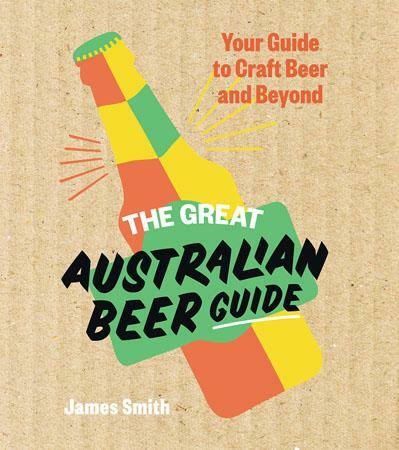 This is James' second book and is similar in style to the first; 150 Great Australian Beers. If you want to know a short summation of the history of Australian beer, with a slight craft beer leaning, I cannot recommend any source higher than pages 10-18 of this book. It's a wonderful resource for information on the best beers on the Australian craft beer scene; I certainly found a few that I'll be seeking out! I hope you've enjoyed perusing these articles guys - keep sending them in via email; gus.norris7@gmail.com. As soon as this post gets finalized I'm going to start on hopefully getting some beer content up for you. The camera is finally working again, so with any luck I'll get that glassware post up in the coming week or two.